Montreal Canadiens forward Max Pacioretty is out of hospital after a bodycheck that has sparked a police investigation and furious debate over the NHL's injury policy. Montreal Canadiens forward Max Pacioretty was released from hospital Thursday, two days after he was injured in a bodycheck that sparked furious debate over the NHL's policy on serious injuries, while prompting a police investigation. NHL commissioner Gary Bettman has staunchly defended the league's decision not to further discipline Boston Bruins defenceman Zdeno Chara, who rode Pacioretty into the boards Tuesday night. 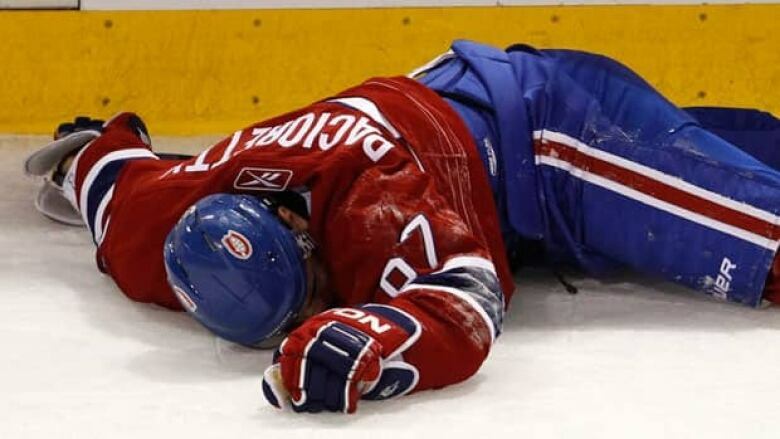 Pacioretty ended up in hospital with a broken vertebra and serious concussion. The hit echoed well beyond the Bell Centre. Geoff Molson, chairman and owner of the Canadiens, said he doesn't agree with the NHL's decision. NHL sponsor Air Canada threatened to pull its sponsorship on Wednesday. Prime Minister Stephen Harper called on the league to assess the "growing number" of serious injuries and head shots. Deputy managing editor Brian Compton mocked police for investigating the Pacioretty affair. Compton tweeted he's "waiting for police to press charges against Washington D.C. for stealing the Expos." His tweet spread across the internet, before being removed from Twitter. Montreal police are investigating whether the hit warrants criminal charges. The hit came near the end of the second period of Tuesday night's game between the Canadiens and Bruins. Pacioretty's head slammed into the metal support holding up the glass, knocking him out as he fell to the ice. Chara received a five-minute major penalty and a game misconduct. The NHL ruled Wednesday that the player would receive no further discipline. "I sincerely appreciate all of the support that I have received since my injury," Pacioretty said in a statement. "I was disappointed that the NHL did not suspend Zdeno Chara. However, I have no desire for him to prosecuted legally. I feel that the incident, as ugly as it was, was part of a hockey game. "I understand that this is not my decision. I have respect and admiration for the authorities in Quebec. I simply wanted to make my opinion clear." Bettman reinforced the league's decision, saying Thursday that there's no need to "over-legislate" head hits. Speaking at an appearance at a U.S. congressional panel, Bettman suggested the rise in reported concussions is due to accidental events and collisions, not head hits. "Our hockey operations people are extraordinarily comfortable with the decision that they made," he said. Molson wrote a letter to fans saying the "organization does not agree with the decision taken yesterday by the National Hockey League." Montreal Canadiens forward Max Pacioretty was injured Tuesday night in a game against Boston. He asked for the support of the 29 other NHL owners, "to address urgently this safety issue." "I am willing to play a leadership role in co-ordinating this group effort," Molson wrote. Pacioretty told TSN from his hospital bed in Montreal that he's disgusted the NHL didn't suspend Chara for the hit. "I'm not mad for myself. I'm mad because if other players see a hit like that and think it's OK, they won't be suspended," he told TSN. "Then other players will get hurt like I got hurt." A major-league sponsor and even the federal government have demanded the NHL take action on headshots. Air Canada waded into the debate late Wednesday by sending a letter to the league threatening to withdraw its sponsorship unless the NHL moves to impose sanctions to reduce potentially serious injuries. And Harper, an avid hockey fan, was asked about the hit during an event in Toronto on Thursday. "Our focus is really on how this affects children and ordinary people who play these sports," Harper said, after expressing sympathy for Pacioretty. "We are seeing a growing incidence of very serious injuries like this. Do you agree with the NHL's decision not to suspend Zdeno Chara? "I don't know what if any role the government has in the specific incidents you're talking about. It could be … in certain cases that laws are broken, but that's a police matter not a matter for politicians." "As a hockey fan … I am very concerned about the growing number of very serious injuries, and in some cases to some of the premier players in the game. I don't think that's good for the game, and I think the league's got to take a serious look at that for its own sake." 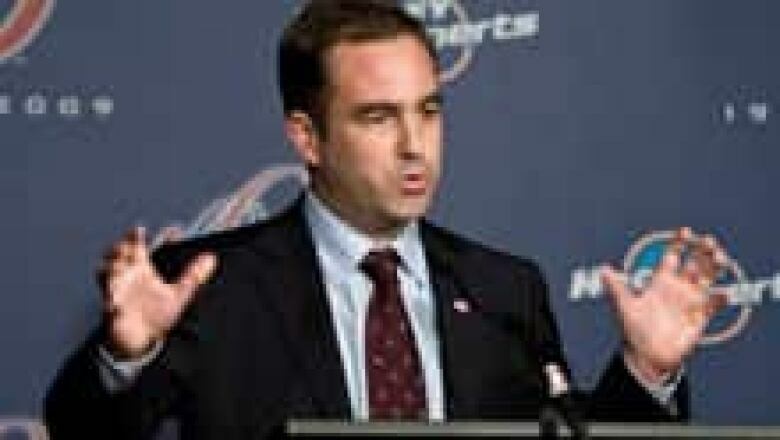 Habs owner Geoff Molson says violence has become a serious problem in the NHL. ((Canadian Press))Quebec's top prosecutor has ordered an investigation after he viewed video of Tuesday night's Habs-Bruins game. "The police investigation will be held," said Martine Berubé of the prosecutor's office. Dionne has asked Montreal police to gather evidence to determine if criminal charges should be laid against Chara, the six foot nine Bruins defenceman. Outraged Montreal hockey fans have organized a series of protests, including one outside the Bell Centre at the next home game on March 15. Another protest will take place outside the NHL office in downtown Montreal on March 14. Since 2008, three cases of hockey violence have been brought to court in Quebec. Not all were triggered by actual complaints to police. None ended with jail time or criminal records. Atlanta Thrashers prospect Patrice Cormier was given an absolute discharge after pleading guilty last October to assault. Cormier was playing for the Rouyn-Noranda Huskies of the Quebec Major Junior Hockey League on Jan. 17, 2010, when he elbowed Mikael Tam of the Quebec Remparts in the head. Jonathan Roy, son of legendary goalie Patrick Roy, pleaded guilty to pummelling a fellow goaltender who was reluctant to fight during a brawl-filled contest in 2008. He received an absolute discharge. A third case, before youth court, resulted in an assault conviction in connection with an on-ice incident. Commie 22 (Mike Commodore) The Montreal police are looking into the Chara hit??? Wow. GeorgesLaraque After hearing from Max Pacioretty that Chara was holding him down and Max couldn't get out of the way, it changes everything, bad ruling! Jeremy_Roenick Injuries will always occur in contact sports, especially when parts of the playing surface cause the worst of the damage, so who's at fault! Dbrassard16 (Derrick Brassard) Hope that pacioretty is okay, kinda of scary! !